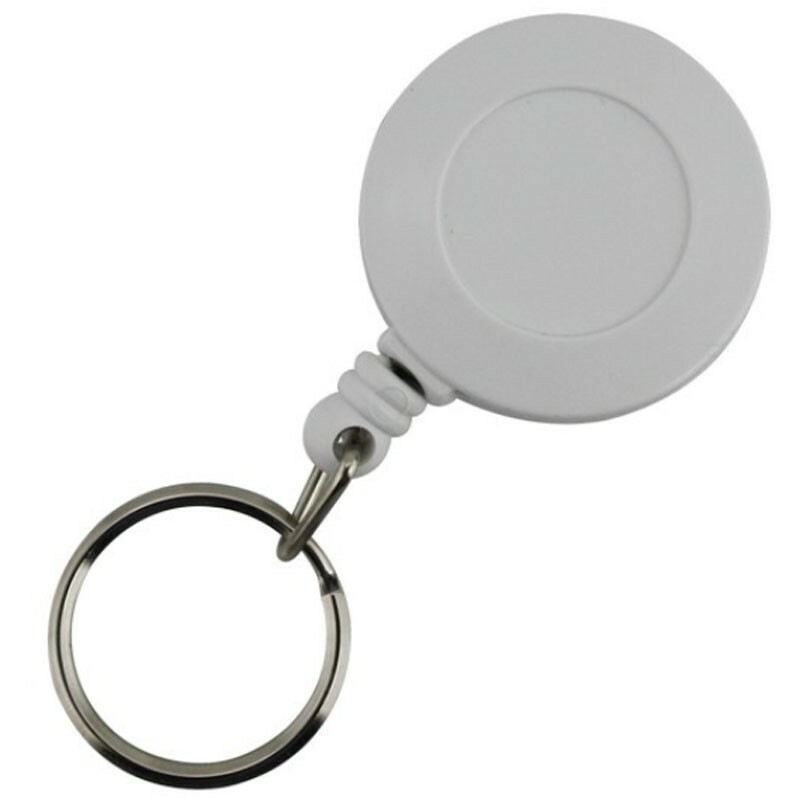 SKS Small Plastic Key Reel With Cord White.A convenient and practical solution for keeping keys, identification cards and tools safe and secure. Small plastic retractable key reel with strong nylon cord.. Size: 30mm diameter x 670mm long cord. Fixing: Belt/trouser clip. Finish: White plastic.